We don’t know if we’ll be talking about ratification or repudiation, waves or wasted chances, or results as complicated as the times that brought them. But we already know that history is being made. It’s being made in the record number of women running for office, in the rising generation of potential political stars, and the would-be firsts among minority and LGBT candidates. It’s being made by simple participation: More than 100 million Americans are expected to vote by the end of the day Tuesday — a record for midterms. And while President Donald Trump has sought to close with hardline messaging that worked once before, squint and you’ll see history being made in the big issues being debated: race, gender, and equality, immigration and border security, health care and taxes, fairness and the economy, access to the ballot — what kind of country Americans want to have. Trump is the biggest presence in politics, yet even a Trump-era election does not necessarily move the way he wishes. Finally, Tuesday brings answers — or at least the start of answers — to big questions that have raged since 2016. 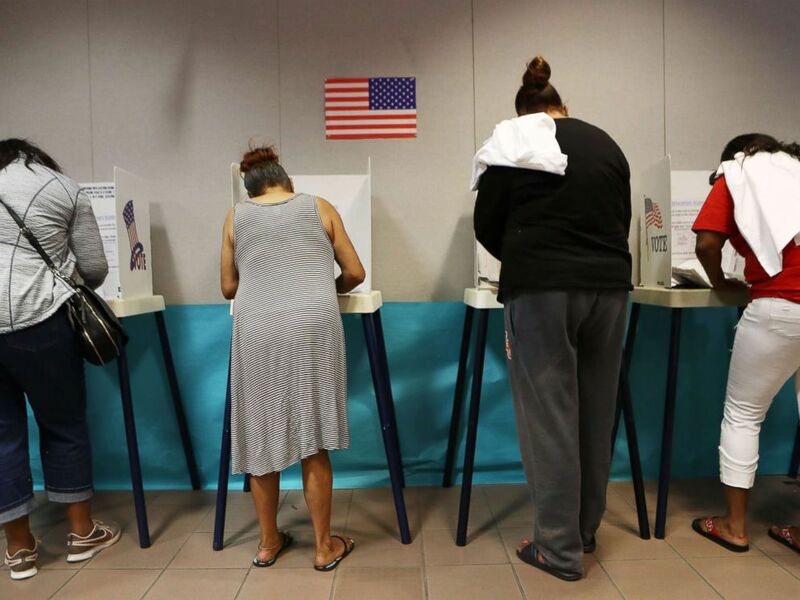 Voters fill out their ballots at a polling place to participate in early voting in California’s 25th Congressional district, Nov. 4, 2018, in Lancaster, Calif.
One key indicator to track Election Day — as the country looks for clues about how the night will go — will be which issue voters say was at the top of their minds when they voted. According to the latest ABC News/Washington Post poll, 78 percent of Americans think health care is a very important issue. That is likely good for Democrats who have been campaigning on health care, and, recent polling shows, holding on to voters’ trust on the subject, too. It is wild to think that, for a decade, midterms largely have been fought over the issue. American voters clearly are begging for more. Fascinating, too, that as the Democratic Party has worked to rebuild itself over the last two years, so many more Democratic candidates have decided to run on platforms that include a Medicare-for-all system or an early Medicare buy-in, even in traditionally red states. Will the issue still rise to the top Tuesday? If so, it could tell us a lot. 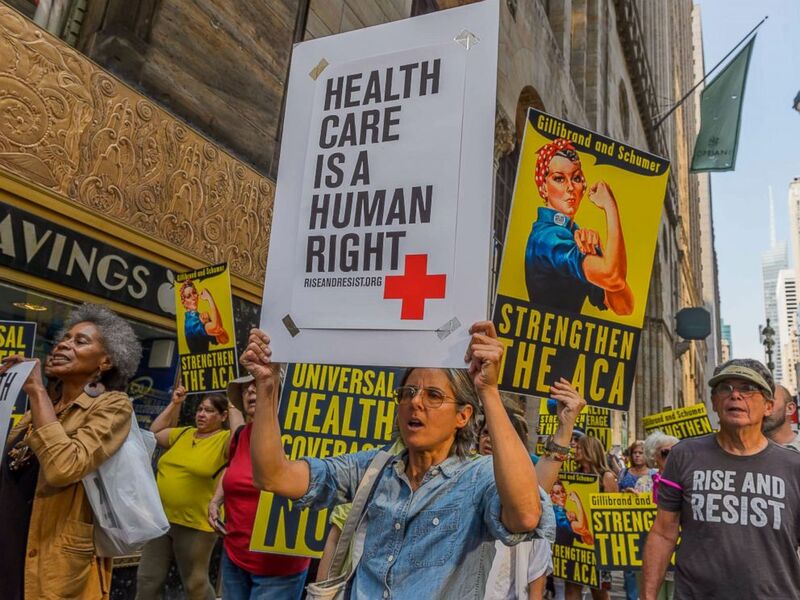 Activists marched to the offices of Senators Schumer and Gillibrand in New York, Sept. 5, 2017, carrying a giant lunchbox filled with messages from constituents that urged them to get “Save Our Healthcare. The 2018 midterms have been as divisive as any American election in recent memory. 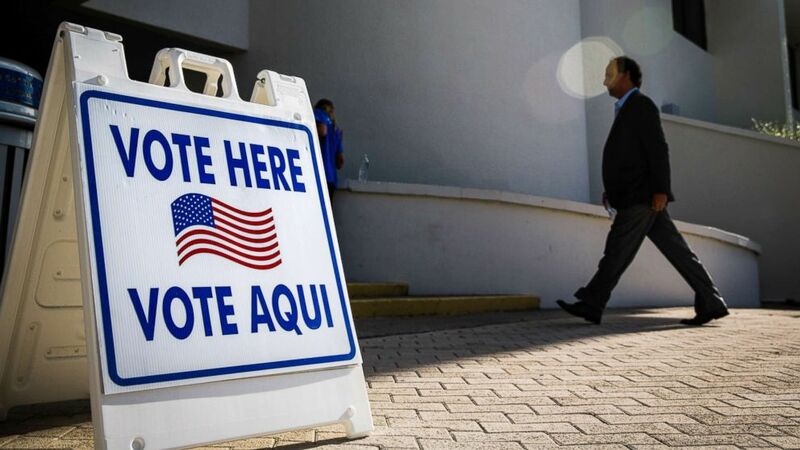 But with Election Day finally here, top officials from both parties largely agree on a broad range of races that span across the country, from Maine to California, and are poised to decide control of the U.S. House. One national Republican official described the states of Pennsylvania and New Jersey as a potential “bloodbath” for the party on Tuesday, while a top Democratic official said the party could pick up between six and eight seats in those two states. Both parties are eyeing key races in states including California, Florida, Iowa, Minnesota and Texas, a confirmation that there are contests everywhere in this country that will tell the tale of 2018. The visions offered by both political parties may be polar opposites, but there is bipartisan consensus about where this election will be won. 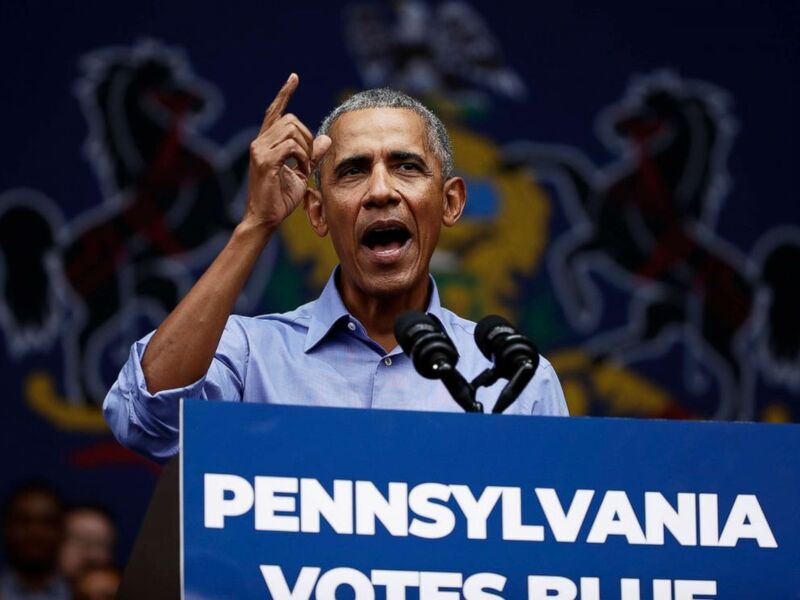 Former President Barack Obama speaks as he campaigns in support of Pennsylvania candidates in Philadelphia, Sept. 21, 2018. ABC News Live — the network’s 24/7 streaming channel for breaking news and live events — will offer continuous and commercial free coverage on Election Day starting at 4:30 p.m. ET on Roku, AppleTV, Amazon Fire TV, YouTube, Apple News, Facebook, Twitter and the ABC News site and mobile phone apps. ABC News will also provide comprehensive coverage, analysis and race updates on ABCNews.com, FiveThirtyEight.com and GoodMorningAmerica.com. Daily newscast “On Location” will feature segments on the midterms before, during and after Election Day — exclusively on Facebook Watch. House Democratic Leader Nancy Pelosi and Democratic Congressional Campaign Committee Chairman Ben Ray Lujan plan to hold an Election Day photo-op on Capitol Hill at 10 a.m.